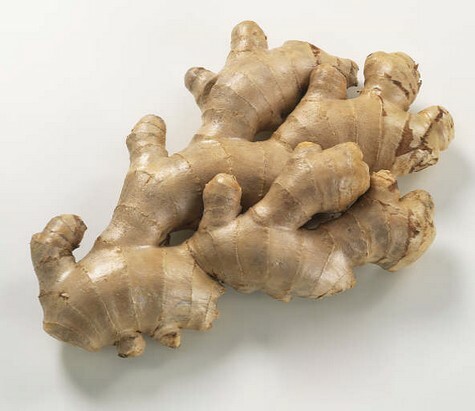 Not just great in stir-fries, ginger is one herb that can do more than add flavor and spice to just about any dish, it also exhibits antioxidant effects and the ability to lessen the formation of inflammation in the body. Ginger contains potent anti-inflammatory compounds called "gingerols" that work their magic on many types of inflammation in the body. A study in the November 2003 issue of Life Sciences indicates that ginger offers free radical protection through one of its many active constituents, called 6-gingerol. 6-gingerol has been shown to significantly inhibit the production of nitric oxide, a highly reactive nitrogen molecule that quickly forms a very damaging fee radical called "peroxynitrite". Another study in the November 2003 issue of Radiation Research found that mice given ginger for five days prior to being exposed to radiation, not only avoided an increase in free radical damage to fats in the body, but also experienced a far smaller depletion of glutathione, one of the body's most important antioxidants. Since the brain contains high levels of fats and is negatively impacted by radiation exposure and free radicals, ginger shows promise in protecting the brain. Ginger also has antioxidant properties that actually break down inflammation and acidity in the body. Ginger, eaten or used as a supplement on a regular basis, can have a protective effect by decreasing inflammation that occurs in the brain. One to ten grams per day of ginger root is an anti-inflammatory daily use.